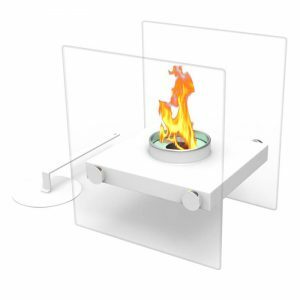 Oblique Single Tabletop Fireplace, White - VGGIFT | is a very good gift Supplier. 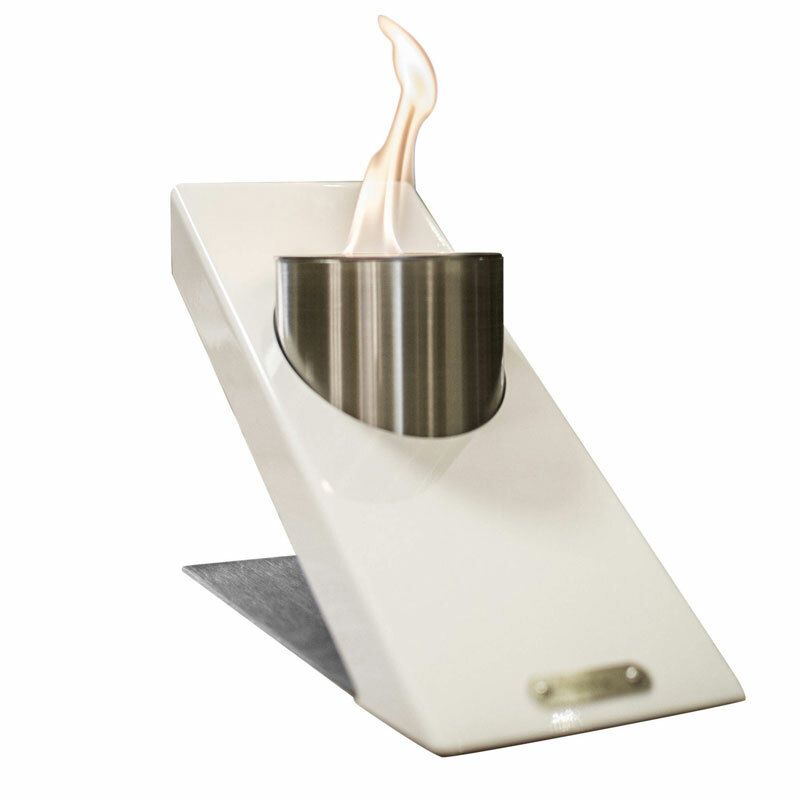 this a self contained burner resting on an oblique stand. The base sits securely atop any horizontal surface and will not topple over. 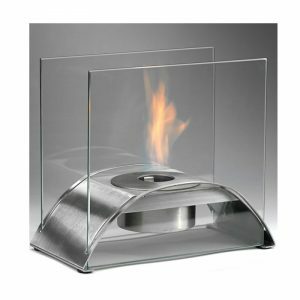 this a self contained burner resting on an oblique stand. The base sits securely atop any horizontal surface and will not topple over. 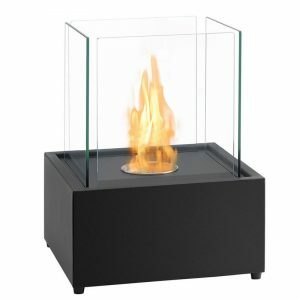 The freestanding base elegantly rises up at an angle so the fireplace’s flame is suspended above the table. 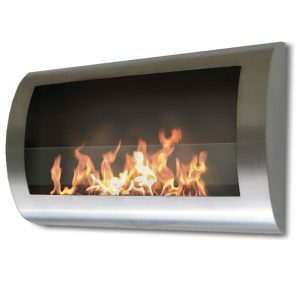 This fireplace runs on bioethanol fuel and adds elegance and interest to any contemporary outdoor or indoor space.